It’s true trends come and go, but denim trends? Not so much. We tend to stay true to a denim silhouette and stick to it – for years. We have been loyal to our faithful skinnies since Sienna Miller was dating Jude Law – yep, that long. So, it’s unsurprising really that we are finally seeing a shift in the cut of what is essentially the back bone of our wardrobe, the jean. At first, understandably, a straighter leg and a slightly more cropped length might feel out of your comfort zone. Here, it’s best to avoid the temptation to size down in search of your friend the skinny. 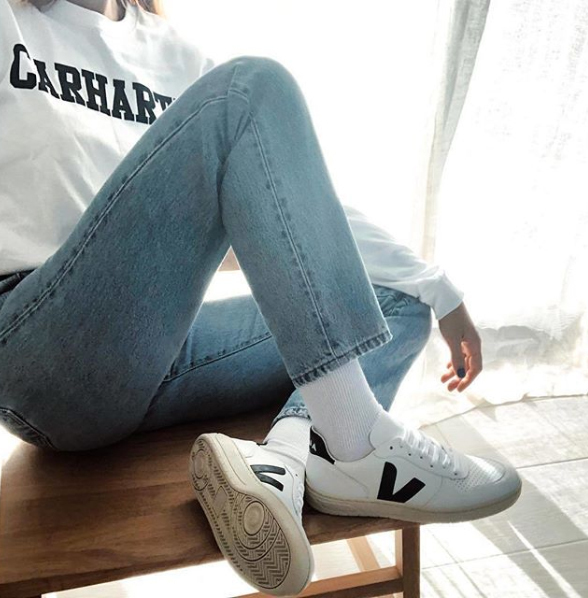 It might mean thinking a bit harder about what to wear initially (admittedly, this will be short lived) but we know you’re going to love this fresher, modern cut to your jeans. 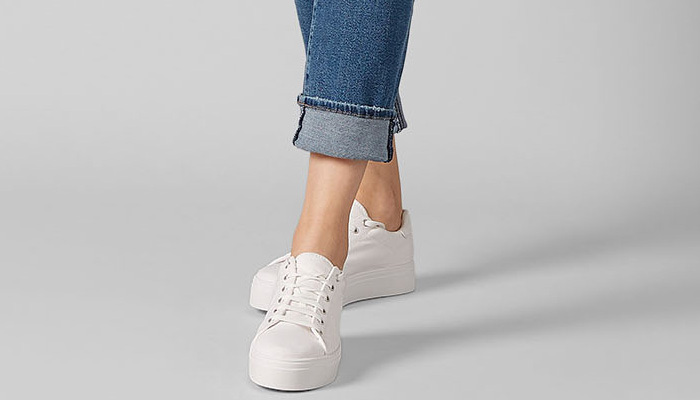 The shorter length will sit flatteringly above your ankle boots, ooze laid back vibes cool worn with your sandals and a tee come summer or for some everyday casual we wear ours with our Veja. Our edit of this seasons premium denim brands ensures there is a style for everyone. Whether you like the relaxed fit of the Elsa jeans from CITIZENS OF HUMANITY, a cropped straight leg like the Cult from MIH or for the fashion forward amongst you try the cropped wide leg AG Etta, or 7 FOR ALL MANKIND Alexa. It’s fair to say we love our denims at Amelie, but the process of finding that perfect pair, not so much! In fact, we’d go as far as to say it can feel rather overwhelming. Pop into store when you have a spare half hour and we can definitely help.